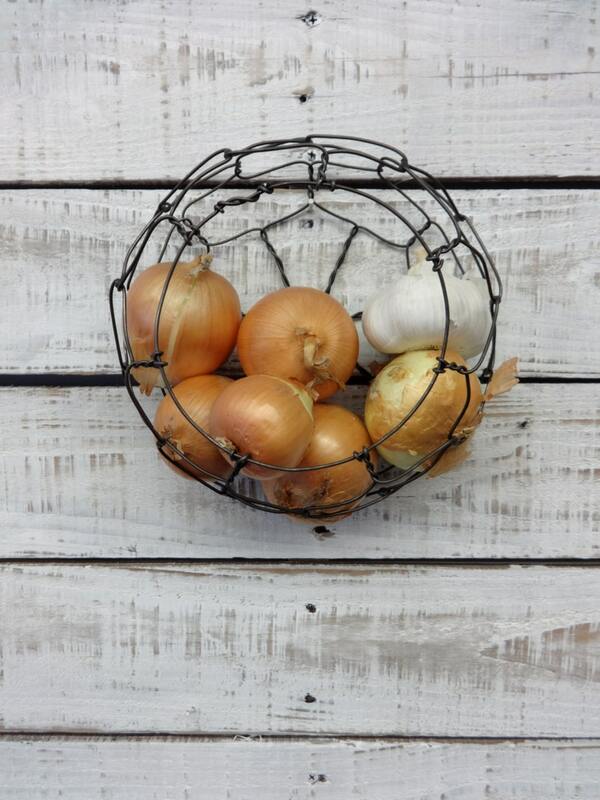 This handmade wire basket is designed to hang on the wall and hold small items such as onions and garlic or lemons and limes. It is about 7 1/2 inches wide by about 4 inches deep. It has an opening that is about 4 1/2 inches wide. 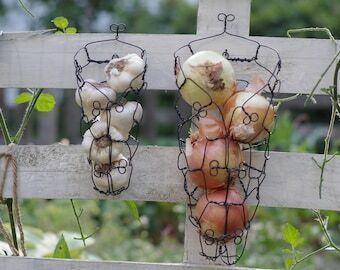 It will hold about 1 to 1 1/2 pounds of produce. 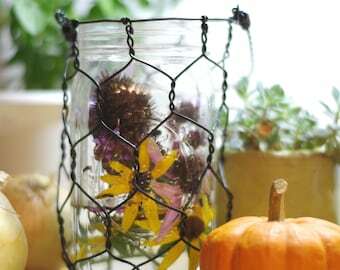 The basket hangs on the wall from a picture hook or nail as shown in the first picture. 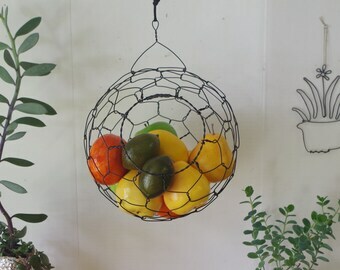 I also sell a larger version here https://www.etsy.com/listing/185344452/wall-hanging-half-round-wire-basket and a set of three here https://www.etsy.com/listing/231733554/set-of-three-wall-sphere-baskets. 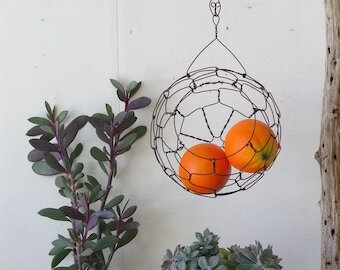 The basket is made with annealed steel wire and should be protected from wet or damp to prevent rust. 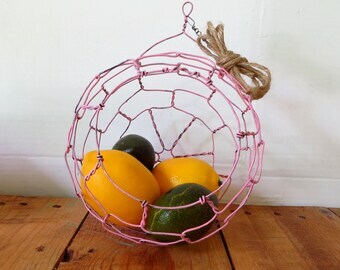 I recommend cleaning and conditioning this type of basket by wiping with a cloth wet with vegetable shortening or oil followed by a clean dry cloth. If you do this every few months or as needed for cleaning your basket will look great for many years to come. Domestic shipping is included. Love it. Looks great and awesome buying/shipping experience.